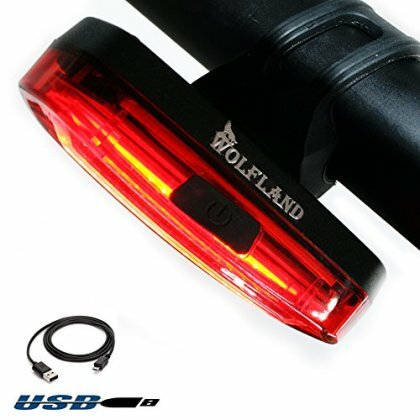 Wolfland Ultra-bright Bike Light- USB Rechargeable Bicycle Tail Light. Durable,Colour Change Strobe,Waterproof, Easy Installation (Red+White)--60 day 'No Problem' Guarantee! ✔ MORE APPLICATION TO KEEP YOUR SAFE OUTDISE - quick release rubber strap mount your bike handle bar, seat post, helmet ,bags and states...etc.